Choose our beautiful 2-liner personalised chopping board if you would like to have more than the average amount of text engraved on one or both of the long edges. 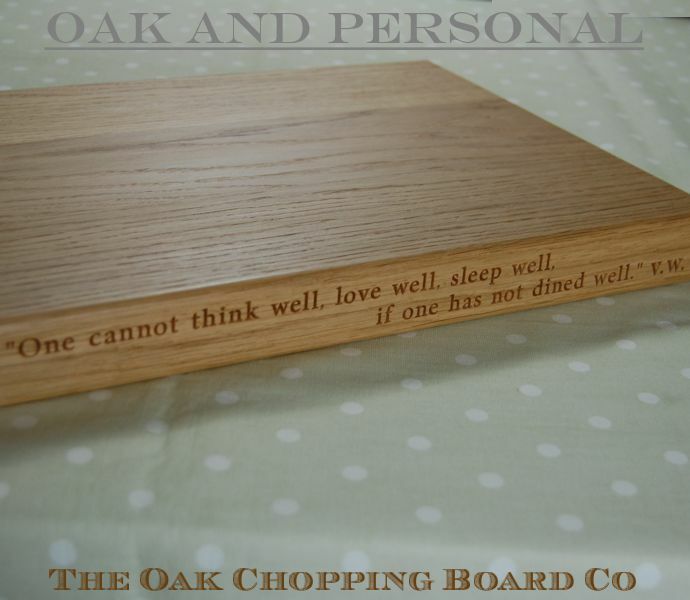 Opt for one of the larger sizes and we can even fit a quotation or a verse from your favourite poem. 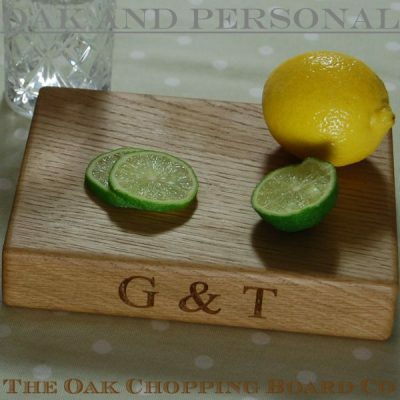 To further personalise, each high quality chopping board can be engraved with your own message underneath or a design from our range of 2D and 3D motifs on the face. We can also create your own unique personalised cipher. 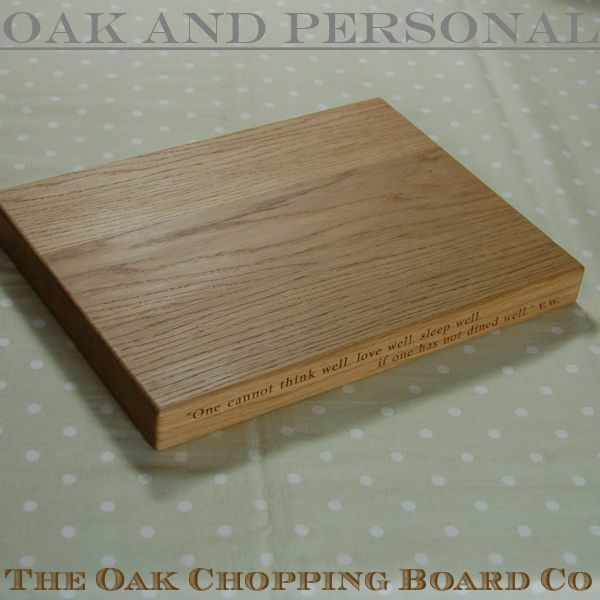 Choose our beautiful 2-liner personalised chopping board if you would like to have more than the average amount of text engraved on one or both of the long edges. 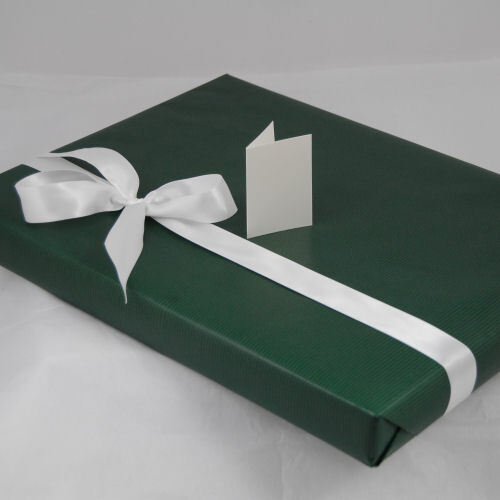 Opt for one of the larger sizes and we can even fit a verse or two from your favourite poem. 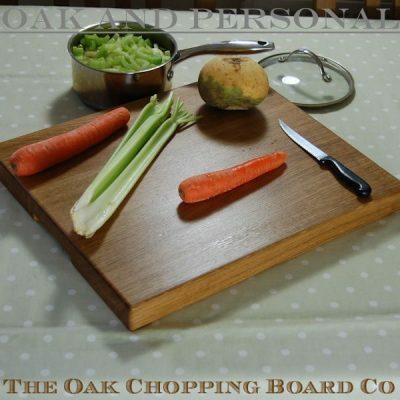 Each chopping board is hand made by us in our West Sussex workshop from full length staves of English or European oak and, at 4cm thick, is thicker than the average chopping board available on the market to ensure strength and stability. 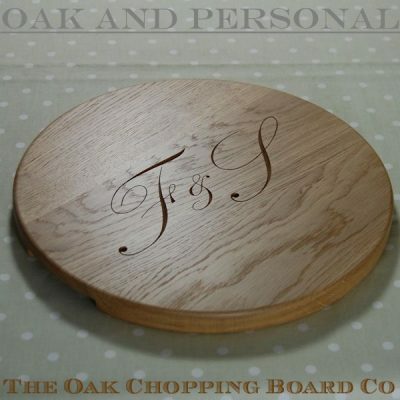 If the sizes here are not large enough, take a look at our extra large personalised wooden chopping board, which measures a massive 38x50x4cm and is available with two lines of engraving per long edge as an option. 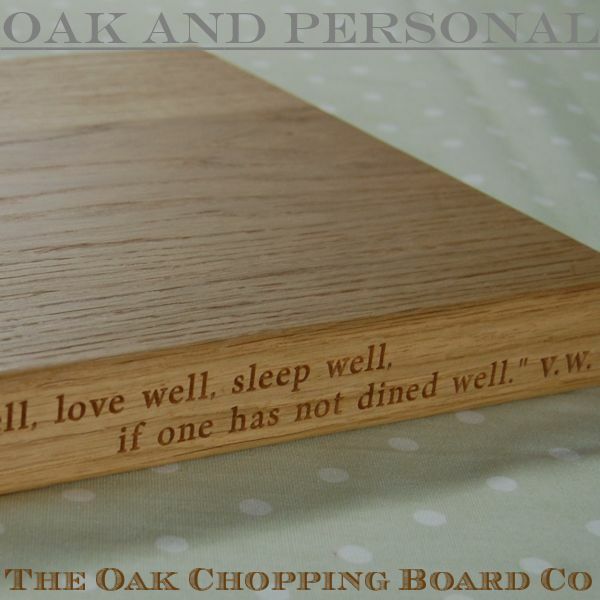 Personalise it… that’s the purpose of it! These 2-liner personalised chopping boards are essential in the kitchen and beautiful on the dining table. 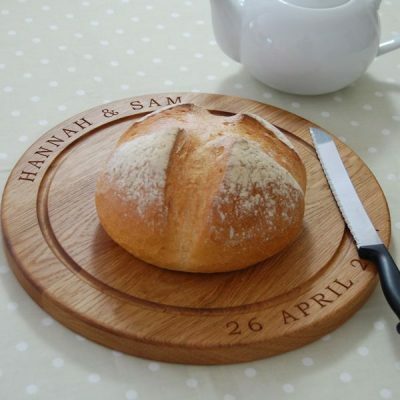 They are available in a wide range of sizes with an optional draining / crumb groove and, as with all our boards, they may be engraved with your own message or a design from our range of 2D and 3D motifs to make a beautiful personalised chopping board. We can also create your own unique personalised cipher. 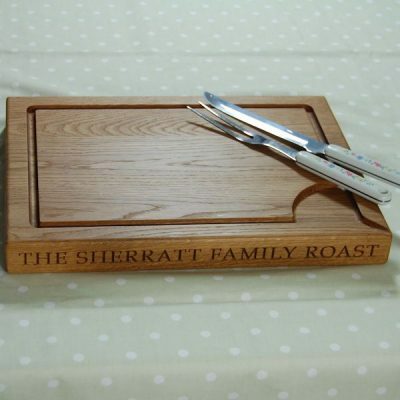 The range of fonts in which we engrave your message is limited to those we know will best accommodate longer lines of text. 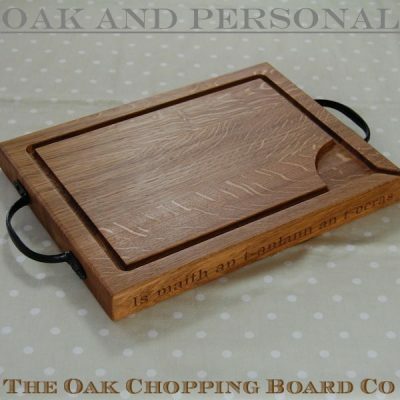 If you are looking for other options not listed please contact us as we want the board you order to be exacly what you want, and to stand apart from all those offered elsewhere. 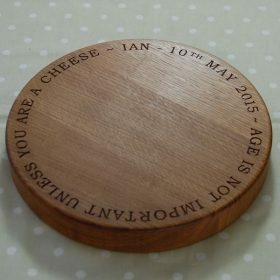 We can offer guidance on what we think will work well for your particular inscription. 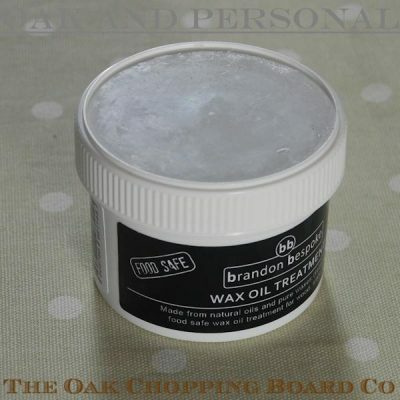 Your board is finished with a comprehensive treatment of a blend of natural oils and waxes before it leaves our workshop. 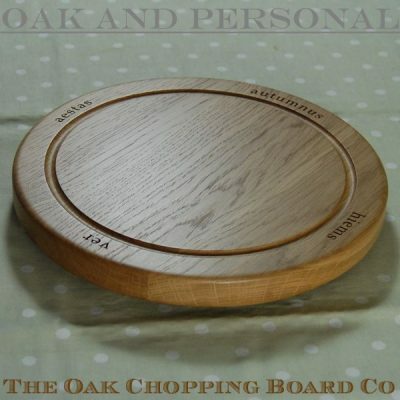 The finish primarily contains food-grade white mineral oil and beeswax, and along with other natural oils and waxes, provides solvent-free, 100% food-safe protection for wooden chopping boards. 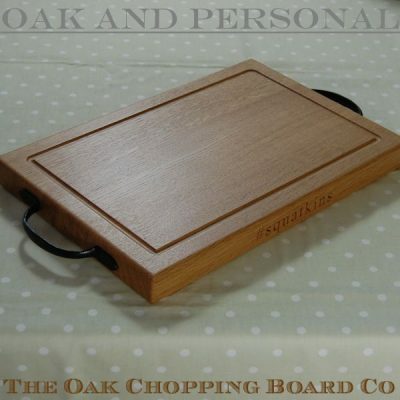 To maintain the beauty and durability of your 2-liner personalised chopping board we recommend it be periodically treated with Brandon Bespoke Wax Oil Treatment. 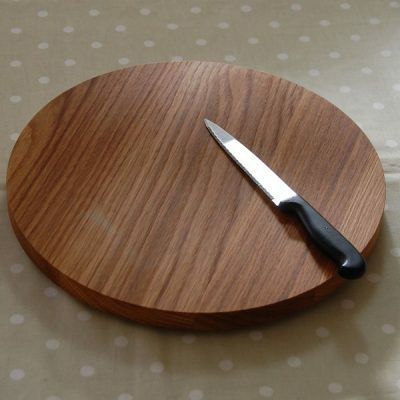 I just wanted to let you know I received the chopping board today and it’s beautiful! 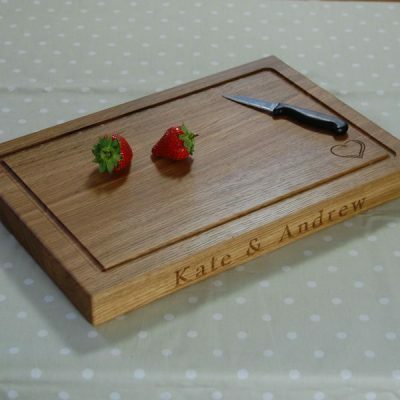 I was given a similar one as a wedding present but clearly although nice it is inferior to your board, which is of better quality and the engraving is excellent.